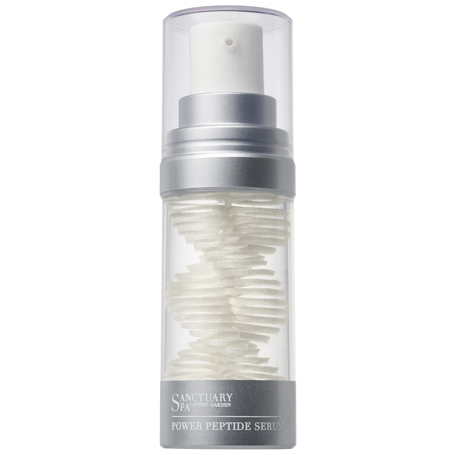 This powerful treatment tackles even deep-set wrinkles without intrusive treatments or injections. Deep wrinkles commonly form around eyes, lips and forehead. 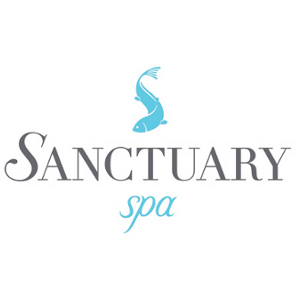 This powerful treatment tackles even deep-set wrinkles without intrusive treatments or injections. The active ingredient Matrixyl Synthe’6 has been clinically proven to stimulate the production of the 6 major building blocks within your skin, resulting in visible wrinkle filling and skin lifting action. 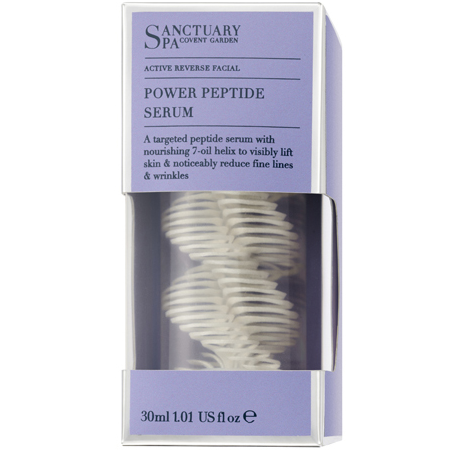 This Power Peptide Serum also contains hyaluronic acid to rejuvenate the skin and improve its elasticity, while a complex of nourishing oils rich in anti-oxidants, vitamins and minerals provides a rejuvenating boost. Aqua (Water), Glycerin, Propylene glycol, Carbomer, Petrolatum, Tocopheryl acetate, Phenoxyethanol, Paraffinum liquidum (Mineral Oil), Sodium hydroxide, Caprylyl glycol, VChlorphenesin, Lavandula angustifolia (Lavender) oil, Mica, Punica granatum (Pomegranate) seed oil, Rosa rubiginosa seed oil, Simmondsia chinensis (Jojoba) seed oil, Hydrolyzed hyaluronic acid, Linalool, Hydroxypropyl cyclodextrin, Anthemis nobilis flower oil, Ceteareth-6, Stearyl alcohol, Geraniol, Limonene, Palmitoyl tripeptide-38, CI 77891 (Titanium dioxide). Easy to use, glides over skin really well. I beautiful looking serum that effectively smoothed out my skin, even stubborn bags under my eyes. I used this in morning and the facial oil at night. It has a lovely scent and does not leave a film on the skin, it absorbs rapidly. If used continuously there is a massive difference in skin, I looked young again. 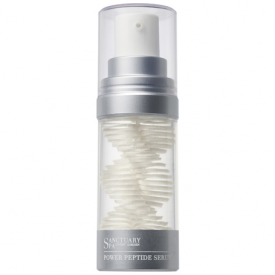 The stress problems I had, aged me about 10 years but after using this serum, boom, I looked like me again. It even defeated the redness I have, it's stubborn and keeps coming back when I don't use anything to tackle it. A little goes a long way so this serum does last a while.